Aspire vape pens have had a major impact on the vaping industry as a whole. Their slim, down-to-earth vaporizers have just a hint of futuristic style and optimism in them. Now, VaporFi has partnered with Aspire to offer you these same great products alongside our huge selection of e-liquids and accessories. This means greater vaping resources at your fingertips from your trusted vapor retailer. Aspire first launched in 2013, making a name for themselves with the incredible Nautilus tank system. This was one of the very first vape tank systems capable of adjustable airflow, making it easier than ever for vapers to adjust the density of their vapor clouds and the restrictiveness of the draw. Adjustable airflow tanks quickly became the standard for quality across the entire industry. Not to be outdone, Aspire followed up with the Cleito tank, which also introduced a new sub-ohm technology. Today, they have expanded their research and development teams to include full-scale vapor operations. ASPIRE Vape Co has launched successful mods of their own, including the CF series Aspire Vape Pens as well as the NX box mods and the Archon. They have added several variations of their original tank designs to include mini tanks for increased portability. In fact, their Nautilus system is still one of the best-selling tanks ever built. The word aspire means to accomplish a particular goal or to soar above expectations. It should come as no surprise that this brand takes that meaning to heart. They have focused on the importance of dependability and customer service to help their brand grow. Unlike other vape manufacturers who remain difficult to contact and work with, Aspire Vape has reached out around the globe. They've added service centers in numerous locations to help boost customer relations and make it easier for you to have your questions answered and to make warranty claims. While they haven't kicked out dozens of new devices every year, they have taken their time on each and every product that has come out of their labs to ensure quality construction and reliability. Every aspect of their devices is rigorously examined before it goes to market, down to the final finish coatings. ASPIRE Vape Co is a brand that has covered a lot of turf in their short life, but their greatest strengths lie in their tanks and building the best vape pens you can buy. Their CF line of vape pens offers versatility and powerful performance in a comfortable tube mod size. The CF is also available in multiple sizes and types so you can enjoy sub-ohm vaping or variable voltage vaping whenever you'd like. Their advanced vaporizer, the new Zelos 50W mod, is a groundbreaking entry in the mid-size vape mod category. Without going totally overboard on bells and whistles, this device produces a robust vapor cloud every time without getting too hot or punchy. The clean body lines and simple functions make it easy to carry with you wherever you go. On the tank side, the Nautilus, Cleito and Atlantis are all worthy of your attention. The new Atlantis EVO tank is optimized for use with high-VG liquids, especially great for cloud chasers. It uses a creative new system to deliver more vapor in less time. You can also choose from two sizes so you will have plenty of liquid capacity to get you through any situation. Here at VaporFi we want all of our customers to have the best vaping experience possible. We make this possible by working together with other major vapor brands to bring our customers a wider selection of quality products. Of course, we take this matter very seriously so we don't let just anyone come along. After a thorough review of the products and standards set forth by ASPIRE Vape Co, we found that they have our customers' best interests at heart. Thus, we are proud to offer Aspire's products alongside our own and we look forward to an incredible relationship with their brand as we all move into the next generation of vaping together. 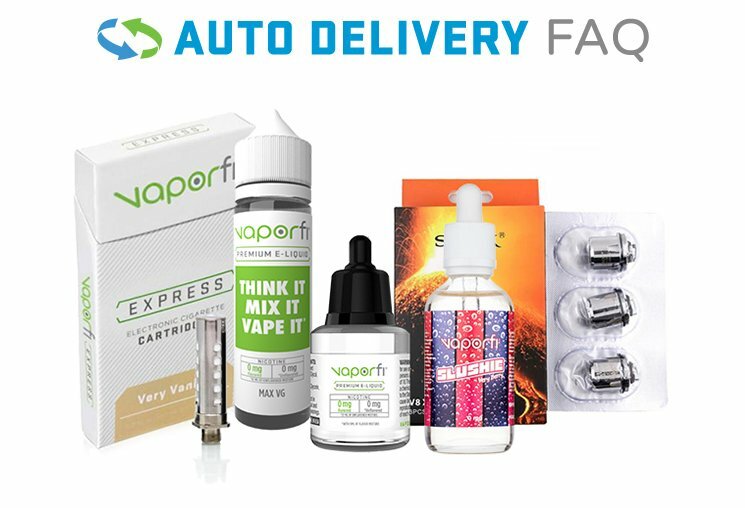 This means that you'll have access to incredible VaporFi Aspire Vape devices that will rock your world, as well as plenty of great tanks and other accessories that you won't find anywhere else. Ultimately, we hope that our customers can appreciate how much time and energy Aspire Vape has put into each of their products. We give credit where it is due, and that's why we've decided that it's time to bring Aspire Vape to you. Just take a look for yourself and you'll find a whole new kind of advanced vaping technology that is perfect for expanding your horizons and achieving new heights. Plus, you'll be guaranteed the same great customer service that you've always trusted us with.